Lower Left or Upper Right casement hinge nf - E-gard STYLE & STRENGTH: Truth casement hinges provide tamper resistance and beautiful exterior sightlines to your windows. 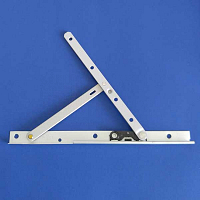 Being concealed these hinges can also reduce shipping problems with assembled windows. 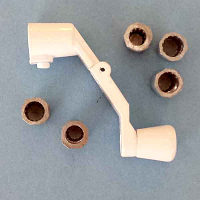 The sash and support arms are made from heavy gauge steel. Delrin shoe with stainless steel insert provides self-cleaning action in track for longer life. Style & Strength: Truth casement hinges provide tamper resistance and beautiful exterior sightlines to your windows. 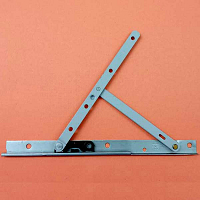 Being concealed these hinges can also reduce shipping problems with assembled windows. 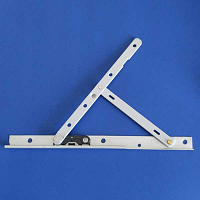 The sash and support arms are made from heavy gauge steel. Delrin shoe with stainless steel insert provides self-cleaning action in track for longer life. Truth casement hinge assembly Lower Left or Upper Right. Upper right-Lower Left stainless steel casement. Truth casement hinges provide tamper resistance and beautiful exterior sightlines to your windows. 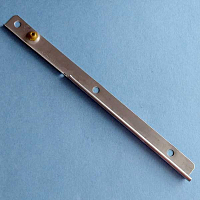 Being concealed these hinges can also reduce shipping problems with assembled windows. 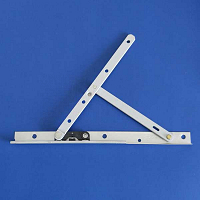 The sash and support arms are made from heavy gauge steel. Delrin shoe with stainless steel insert provides self-cleaning action in track for longer life. Upper Left or Lower Right casement hinge nf - E-gard STYLE & STRENGTH: Truth casement hinges provide tamper resistance and beautiful exterior sightlines to your windows. Being concealed these hinges can also reduce shipping problems with assembled windows. 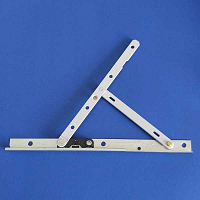 The sash and support arms are made from heavy gauge steel. Delrin shoe with stainless steel insert provides self-cleaning action in track for longer life. Style and Strength: Truth casement hinges provide tamper resistance and beautiful exterior sightlines to your windows. 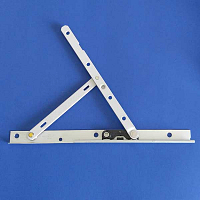 Being concealed these hinges can also reduce shipping problems with assembled windows. 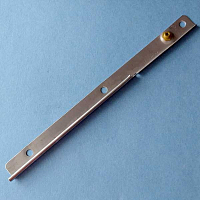 The sash and support arms are made from heavy gauge steel. Delrin shoe with stainless steel insert provides self-cleaning action in track for longer life. Upper Left or Lower Right casement hinge 14inch flat - E-gard STYLE & STRENGTH: Truth casement hinges provide tamper resistance and beautiful exterior sightlines to your windows. 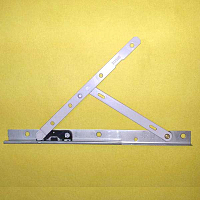 Being concealed these hinges can also reduce shipping problems with assembled windows. 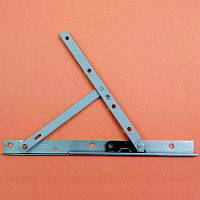 The sash and support arms are made from heavy gauge steel. Delrin shoe with stainless steel insert provides self-cleaning action in track for longer life.